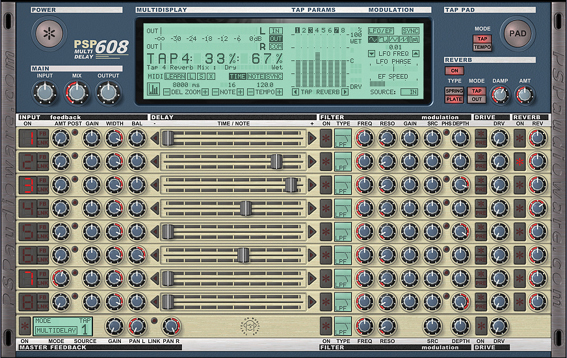 The PSP 608 reduces other multi-tap delays to tears. 24-bit, 192 kHz, of course, but check the specs: feedback, stereo image and position, delay time, multimode filter, modulation, drive/tape saturation, and reverb for each individual tap. There’s a full-featured LFO and envelope follower for modulation, and with MIDI control of each parameter, yes, you could base an entire performance around this one plugin. Overkill? You bet. Ain’t it beautiful? The prolific PSP developers will be at AES next month, so expect more from here in NYC. GyroMice for Music: A (Nintendo) Revolution on Your Mac/PC?